The Maldives is a beautiful place that’s famous for its soft white sands and crystal clear waters. But what are some of the best sights and places to see in The Maldives? Read on to find out. The capital of The Maldives is extraordinary, and is a great opportunity for tourists to experience local life, away from the five-star resorts. The city's skyline is an exotic splash of colour, rising out of the Indian Ocean, and the island upon which it stands is almost completely urbanised. The city itself is quirky and full of charm; a visit here will give you a chance to meet some friendly Maldivian locals. Male highlights include the Fish Market, the Old Friday Mosque and the National Museum. An increasingly popular activity in The Maldives is to see (and even swim with) the magnificent whale sharks that call this part of the Indian Ocean home. South Ari remains one of the best places in the world to see whale sharks in their natural habitat. These stunning creatures are commonly spotted all year round on the outer reef. 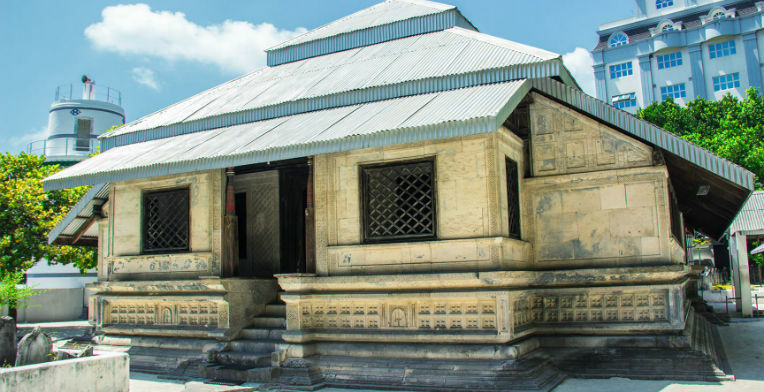 This is the oldest mosque in The Maldives, dating back to 1656. The Old Friday Mosque is a great place to see some traditional Maldivian culture and architecture. However, visitors do need permission from an official of the Ministry of Islamic Affairs to enter. The good news is that most of the staff who work at the Old Friday Mosque are officials, and if you are dressed respectfully they will usually give you permission to enter the mosque there and then. If you cannot get permission to enter the mosque itself, you will be able to take a stroll around the graveyard. Just make sure you’re dressed appropriately. Mohammed Thakurufaanu is often credited as The Maldives’ national hero, as he liberated the country from Portuguese rule in the 16th century. He was also the Sultan from 1573 to 1585. 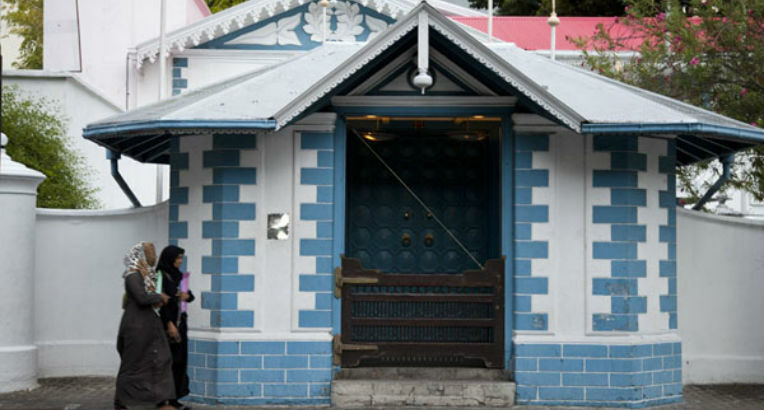 The tomb is located in the grounds of a small mosque in Male and is a great experience for history lovers. One of the most fascinating aspects of The Maldives is the exotic wildlife that call the islands home, and it doesn’t come much more fascinating or exotic than hammerhead sharks. There’s a little spot off the island of Kuramathi where you can be face-to-face with a school of these magnificent creatures. Take a boat to Hammerhead Point and prepare to be amazed. You’re never guaranteed to see hammerheads obviously, but many people who dive off the boat have been known to see them from afar, or even swim with them. Hammerhead attacks on humans are rare, and they are widely considered to be one of the safest breeds of sharks to swim with. TOP TIP: Hammerheads are shy creatures, so the smaller the group of humans, the more likely you are to see them. If you’re a fan of snorkelling and diving, then Alimatha Island is the perfect place for you. This island sits on the eastern edge of The Maldives, and features one of the most famous channel dives in the world. There are also several snorkelling sites where you can see some colourful and exotic sea life. The National Museum is the perfect place for tourists wanting to learn about the history of the islands. There are lots of ancient and beautiful artefacts held at the museum, including weaponry, ancient engravings, religious paraphernalia and historical household items. There’s also an upstairs section that represents the modern era, where you can see lots of items that have shaped The Maldives we all know and love today. If you want to see some of the sea creatures that The Maldives are so famous for, you have to visit Bluetribe Moofushi. This team of experts will guide your diving experience and ensure it is enjoyable and comfortable. They are on hand to guide beginners through to experienced divers. Bluetribe Moofushi also feature excursions, where you will be able to see dolphins, whale sharks, local villages and beautiful sandbanks. If you want to see some traditional Maldivian life, but don’t fancy the capital, then make Villingili your next port of call. Here you’ll find some beautiful boats in the port, and some traditional Maldivian architecture inland. You can also take part in a night swim, and with water as warm as a bath, it's guaranteed to be a relaxing and tranquil experience. Click here to see our top deals and start planning your dream trip to The Maldives.